Lydia Kang is a doctor who decided writing was maybe just as much fun as medicine, so, now she does both. She is the author of Control and Catalsyt. She lives with her husband and three children in Omaha, Nebraska. "Imaginative cultural details (an ecstasy-like drug carried by sound) and impressive specificity regarding genetics. The use of mutants alone is fairly unique, making this a smart go-to for fans of Megan Shepherd's The Madman's Daughter." "Steamy, romantic. . .scrupulous attention to scientific detail adds authenticity." "A sweet, edgy romance rounds out this smart, futuristic medical thriller." "Surprising twists, tender romance, and a fierce, smart protagonist make for a winning formula in Kang's debut. 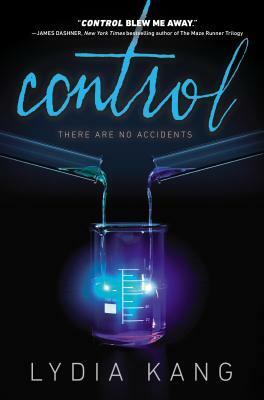 CONTROL is tautly woven and breathlessly delivered--a thrilling read!"